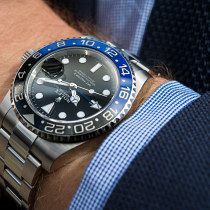 EDITOR’S PICK: Does the Rolex Batman still hold its own, now that there’s a new red and blue hero on the block? 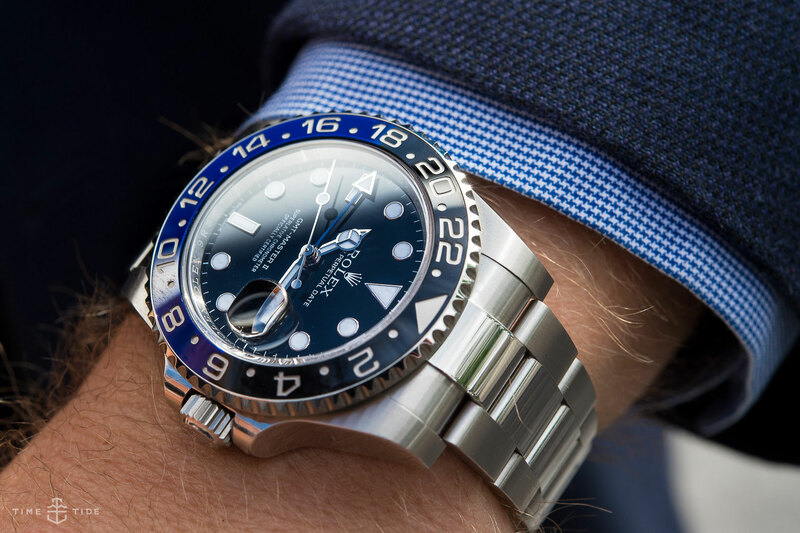 Editor’s note: You don’t have to be one of Gotham’s finest to figure out that the all new, all ‘Oystersteel’ ‘Pepsi’ GMT-Master II was one of the biggest releases to come out of Baselworld this year. The hype was real. And with all this talk of two-colour bezels, we got to wondering around the T+T office, if this one — the first of the Rolex ceramic bezels to get the bi-colour treatment — can hold its own against its brand-new red and blue younger sibling. 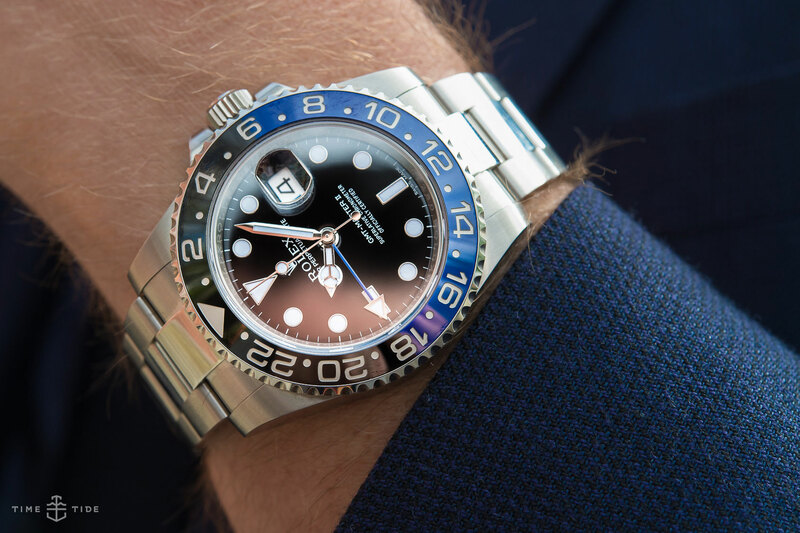 While we wait for the first deliveries of Pepsi to be made, and to find out just how the Batman stacks up, we thought it was a good idea to get reacquainted with the BLNR, and Mr Bruce Duguay’s excellent in-depth review. 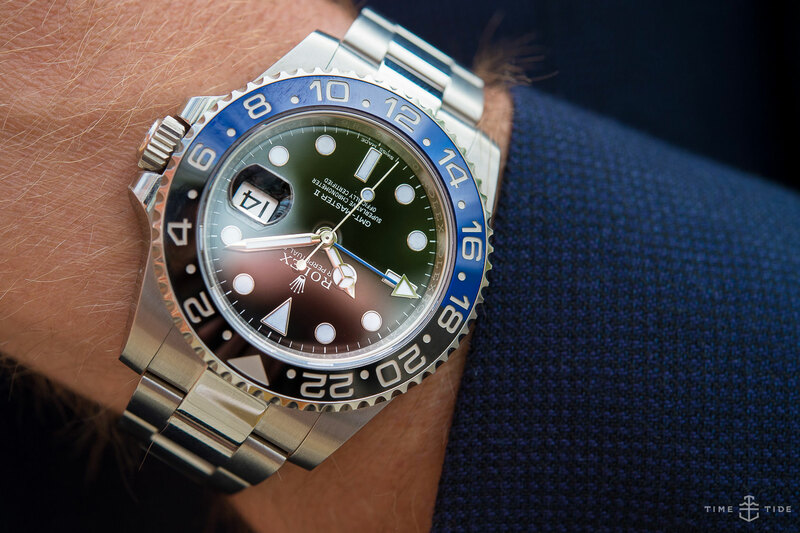 When Rolex introduced the updated ceramic bezel GMT-Master II nearly 10 years ago it was perhaps one of the most aggressive revisions to this historic model. A beautiful new scratch and fade resistant ceramic insert for the bezel, a heftier case and more pronounced dial ushered in a new era for this pilot’s watch. 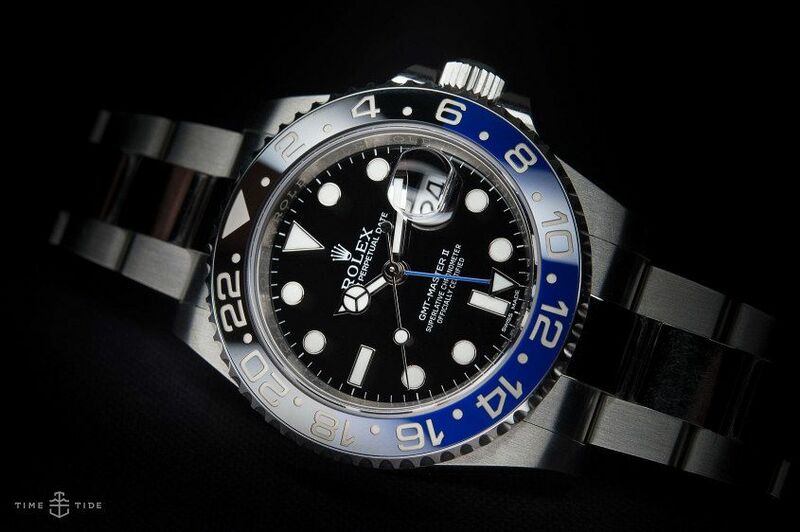 Notably absent, however, were the bi-colour bezels that had been available since the inception of the GMT-Master in the 1950s (think ‘Pepsi’ blue/red and ‘Coke’ red/black). 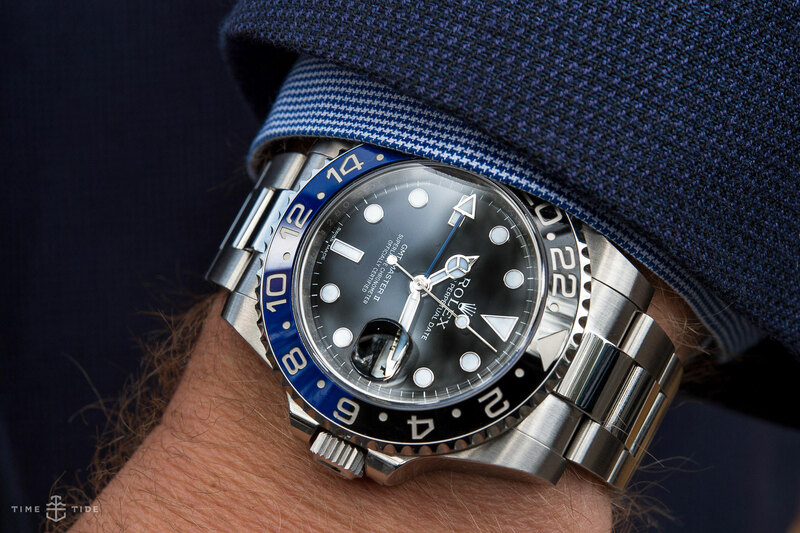 Despite all other benefits and improvements, the new ceramic bezel seemingly could only be formed in one colour so all black bezel GMTs were your only option (aside from some very eclectic precious stone models). Fast forward to Basel 2013. 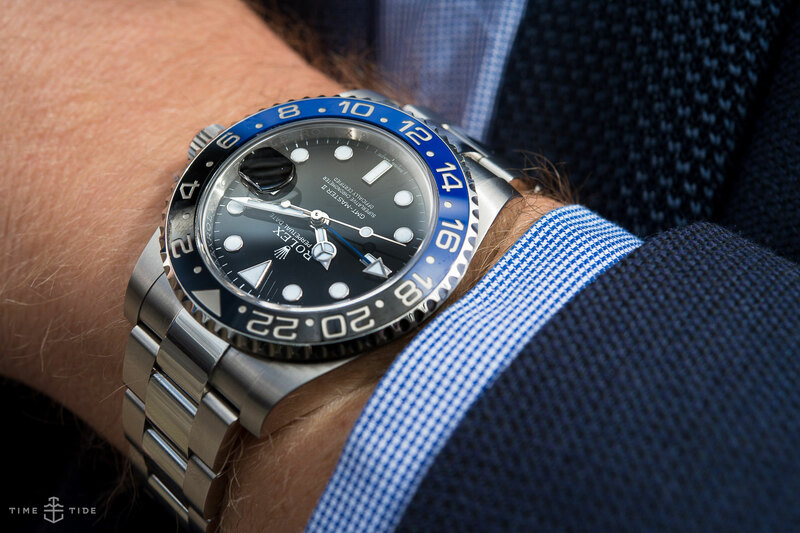 When the doors opened, Rolex was able to show off what its diligent magicians had been working on for years: the world’s first one-piece ceramic bezel in two different colours — blue and black. 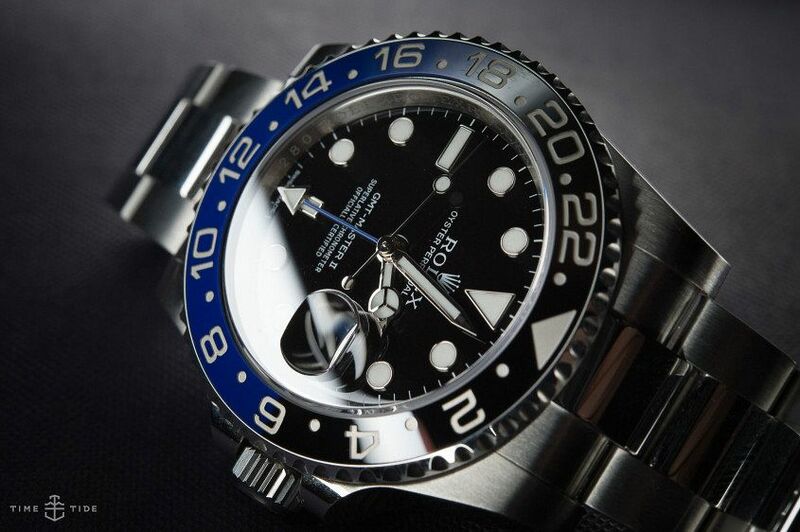 The pilot’s night and day watch was back in blue, but no one was expecting it to be back in black. 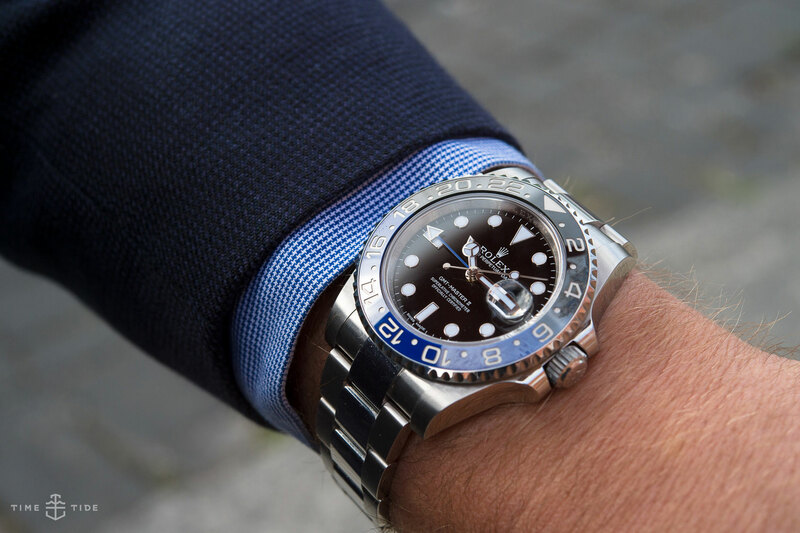 I’ve been wearing the new GMT-Master II BLNR (bleu-noir) for more than half a year and during my first few days with the GMT, I could not believe the similarity in comfort with my trusty Datejust. 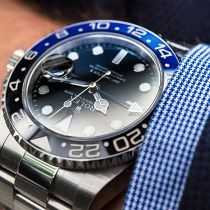 I never imagined anything could be as comfortable as the 36mm classic I had been sporting for much of the previous year. 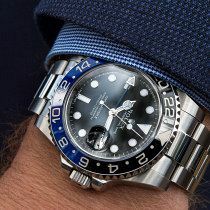 The GMT sits comfortably on my wrist and the comfort level lends more time to regard the “high-tech” new bezel. I say high-tech not in the Apple Watch sense but instead because the bezel is a complex component in terms of how it looks depending on different lighting. 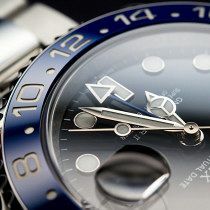 The blue half of the patented Cerachrom (Rolex being Rolex, they made their own proprietary ceramic) bezel is worth a paragraph itself. It has a multiple personality thing going on. In direct sunlight it is the brightest blue I can ever remember seeing. In neutral room lighting it is more matt blue and in darker settings it almost transitions to black. 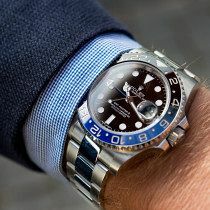 Those fortunate enough to have some time with this watch will know what I’m talking about. 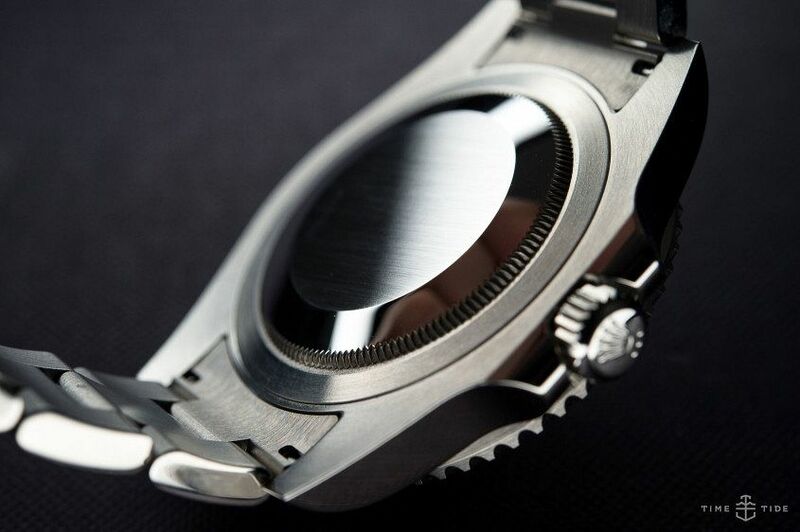 This chameleonic bezel is the reason the watch is so versatile in different situations. 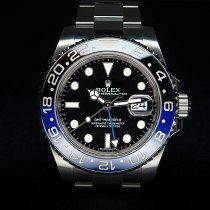 I can wear it to my son’s ball game with a T-shirt and jeans and the bezel looks very sporty. 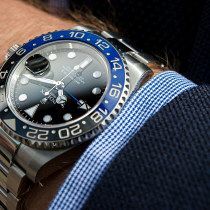 When I wear it to work indoors and evening events with a suit, the bezel takes on a more subtle nuance. Aside from being fade and scratch proof, the coolest detail about the bi-colour ceramic bezel is the seamless point where black meets blue. It’s not that they blend together but you really have to look close to see the transition that enhances the mystique of the one-piece ceramic insert. 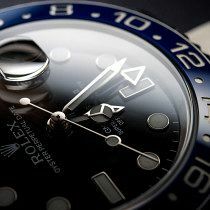 I required no further proof that the bi-colour manufacturing process was most likely a complex and painstaking task for Rolex to take on. 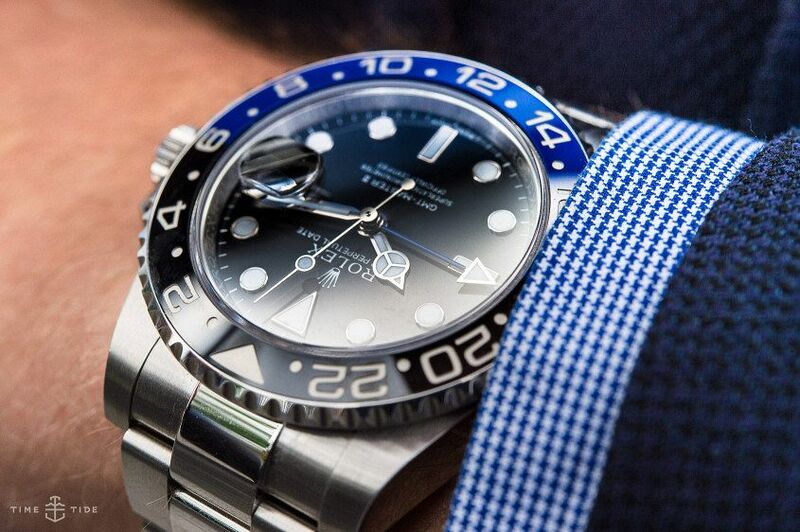 The GMT-Master II features the classic Rolex professional dial layout with large easy-to-read at a glance markers and hands. 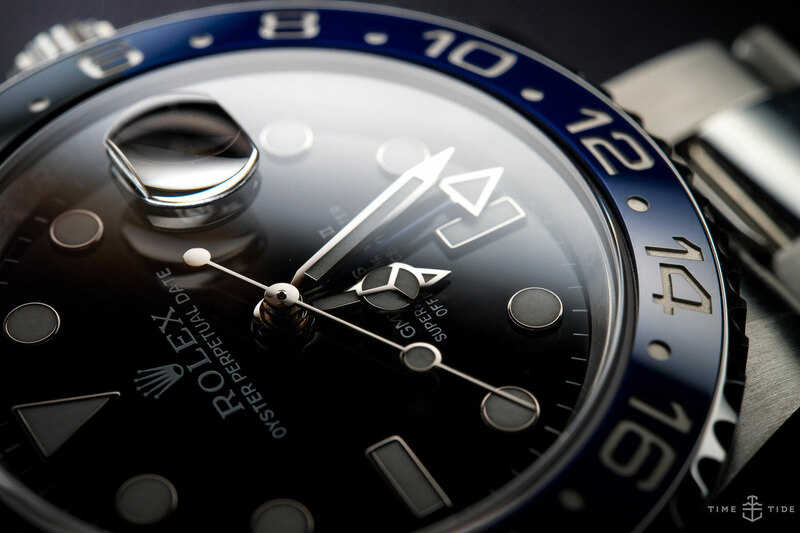 When switching different lighting situations the black dial is the opposite of the blue bezel half in that it consistently projects the deepest most liquid black you can imagine. 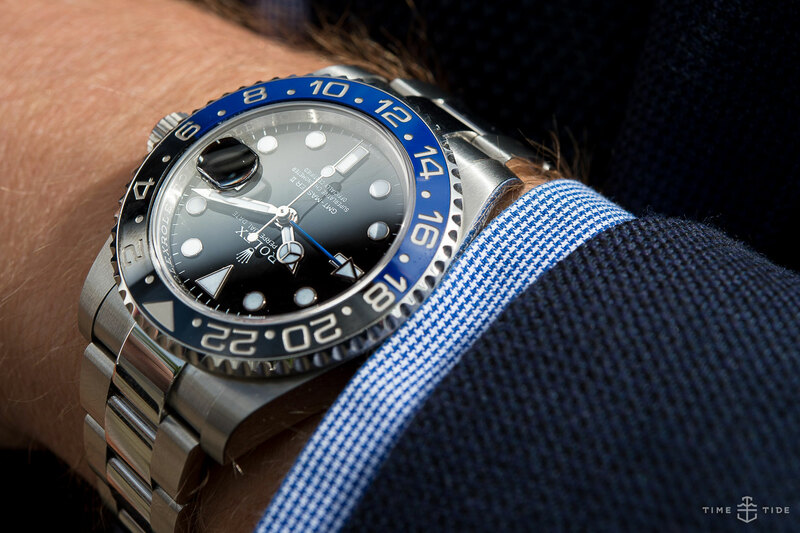 There is no texture (like the Tudor Heritage Ranger, for example) for the light to play off, therefore the steadfast black seriousness balances the playful nature of the blue bezel and GMT hand. 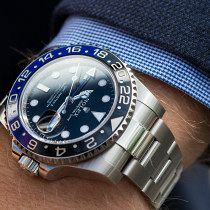 This GMT hand has its own set of contrasts in that its arm is rendered in blue with the end arrow mirroring the lume and white gold surround of the other hands and indices. 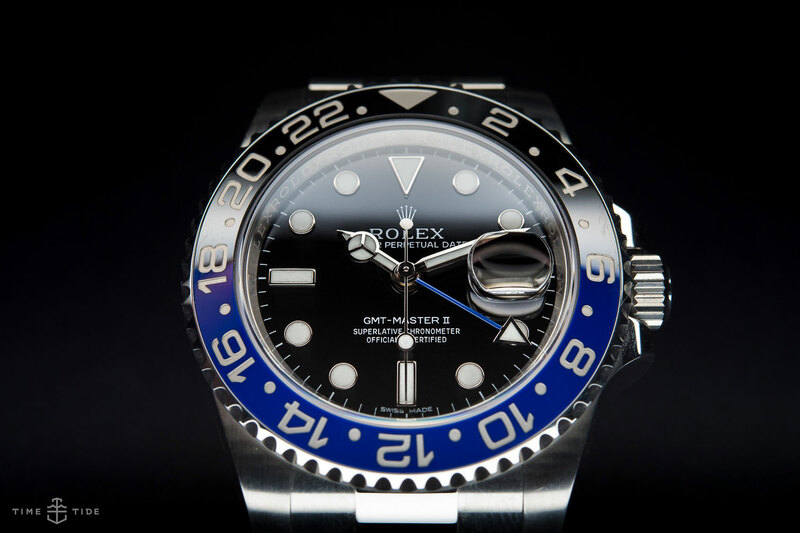 The arm is also super thin, which again lends to the subtleness of the blue sporty components and opposes the larger elements of the dial. Moving onto the case, we find no surprises, and this is a good thing. 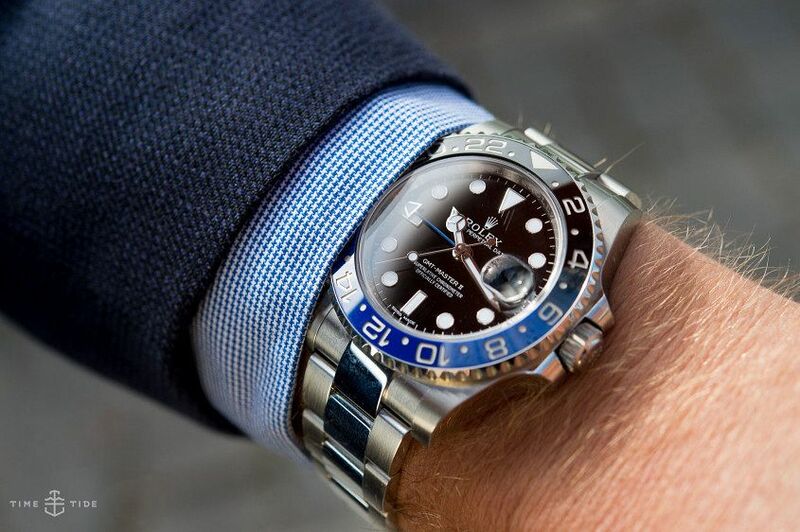 I really have an appreciation for the modern Rolex Oyster professional case which gives a powerful and substantial look to this 40mm timepiece with precise edges and strong shoulders. 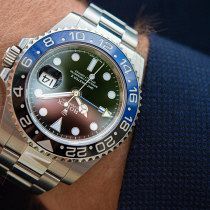 For remarks specifically on the case size I can connect back to my original observations about the day-long comfort of wearing this watch. 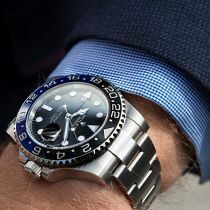 Since the GMT does not have as large a case back as its Submariner and Sea-Dweller cousins, it tends to slip very nicely under the cuff of a dress shirt should you want or need to be discreet, but still has excellent wrist presence with short sleeves. 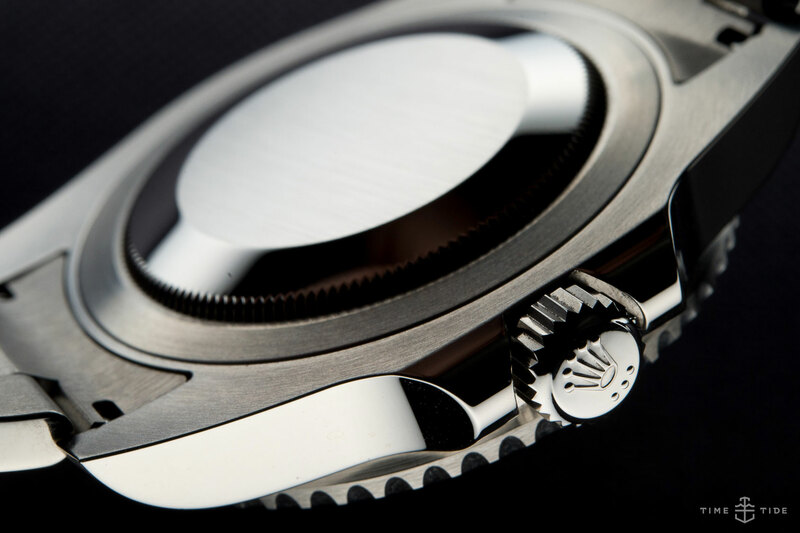 The slightly oversize Triplock winding crown departs from the controlled balance of the watch in that the crown guards appear as if they are struggling to contain the massive hatch. I’m sure this is a nod to the waterproof heritage of all Rolex Oyster watches. It imparts a sense of impenetrability and leaves little doubt about the security of the movement with respect to the elements. 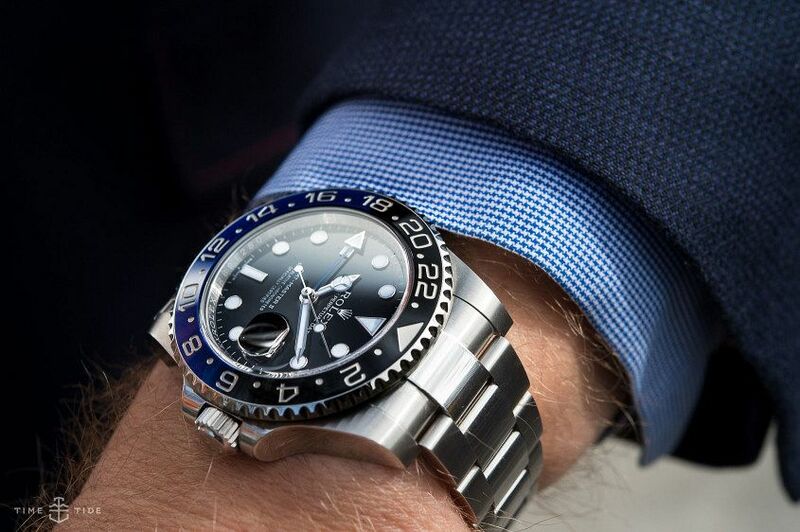 True to its tool watch origins, functionality is the strong point of the GMT-Master II. 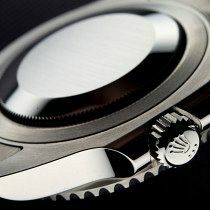 The calibre 3186 perpetual (self-winding) movement is of course an in-house workhorse for Rolex. 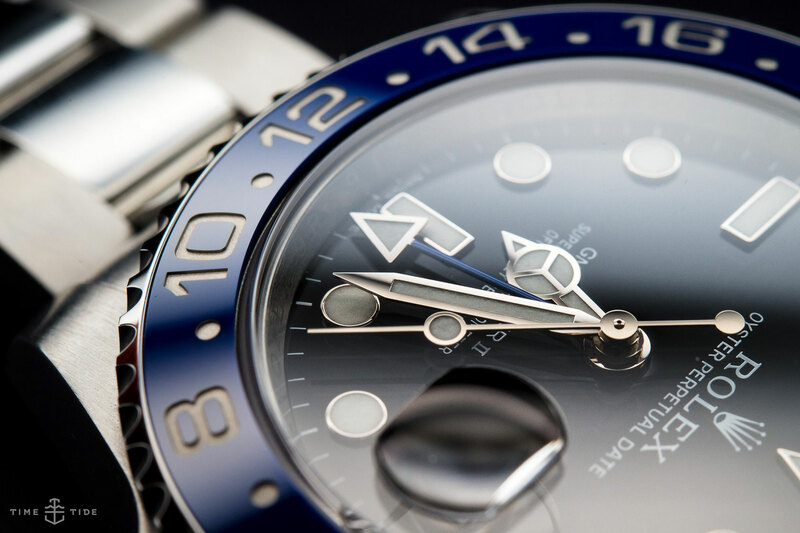 It not only measures time to COSC-certified standards but also provides the additional time zone and ever useful date functionality. 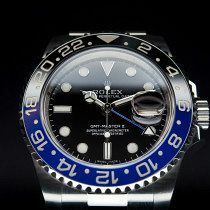 Even though I am not an extremely technical person, I found it easy to learn the setting of the date and time. 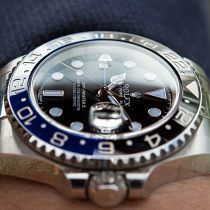 The ability to quickly set the hour hand independent of the others makes switching to a different time zone a 15-second task at most. 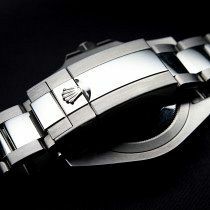 Completing the package is the Oyster bracelet. 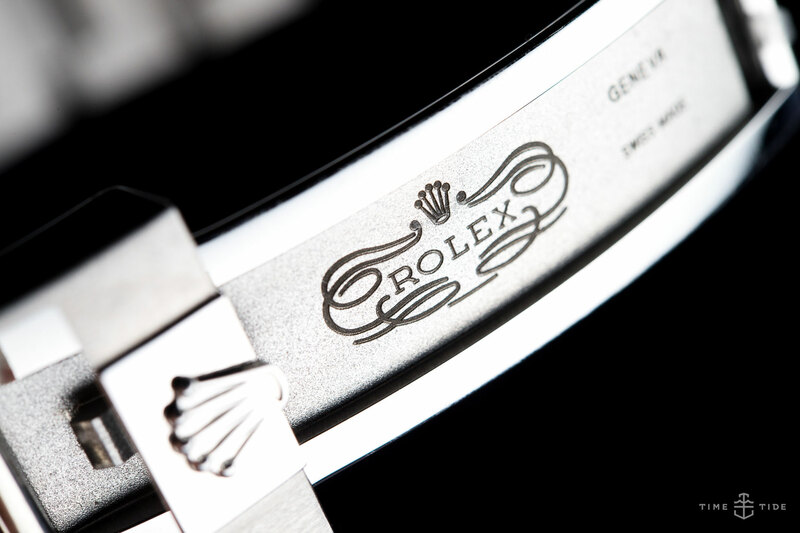 Undeniably it contributes to the long haul comfort of the watch. 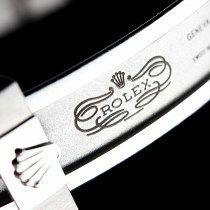 There is a tactile pleasure when handling the watch as the solidity flows from the case right through the entire bracelet. Even the Oysterlock clasp closes with a reassuring click, remarkably secure considering it is the lightest single part of the bracelet. 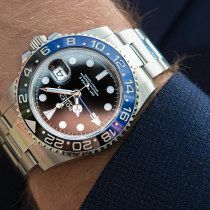 There is the Easylink extension if one would like to let the watch out a little bit on hot days or for a more casual look. 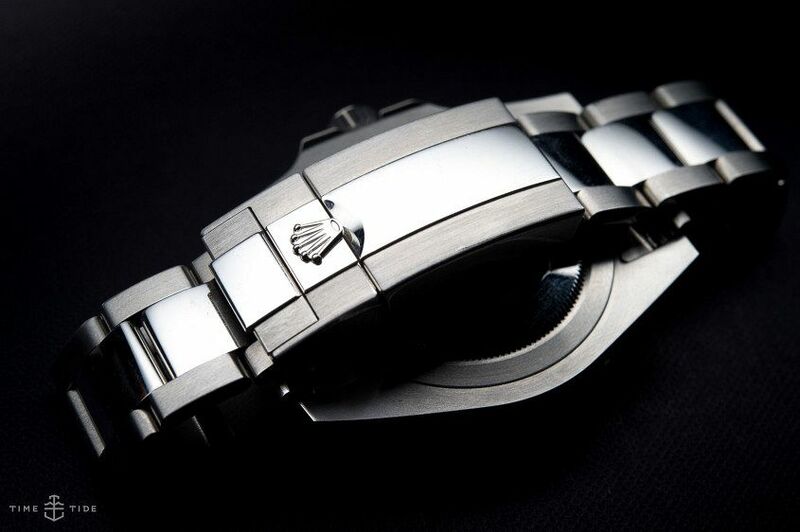 Aesthetically, the bracelet with polished centre links lends to the high-end nature of the watch, though they are prone to light scratches, which, though inevitable on any polished watch, is still a little heartbreaking. 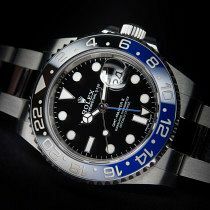 At the end of the day, the new Rolex GMT-Master II makes a statement with pedigree, design and quality of manufacture. The GMT walks the fine line of maintaining Rolex’s traditional values and simultaneously providing a fresh take on the day/night concept. I really enjoy wearing this watch day after day and continue to discover new perspectives, angles and scenarios in which to appreciate it. 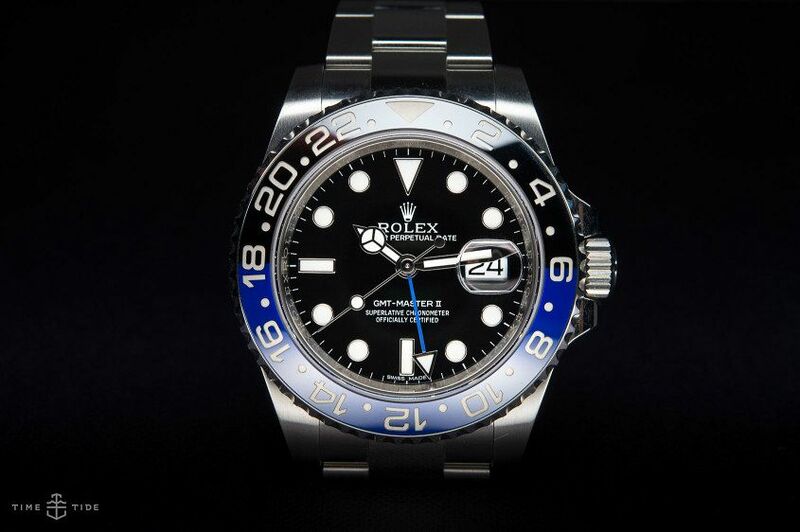 I would recommend this watch to people who are looking for a singular fine timepiece they can depend on for years or as a diverse addition to any collection. Who’s it for? 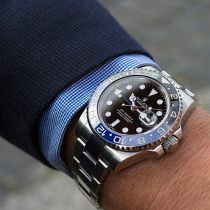 Anyone who spends more time in a plane in a tailored suit than in a wetsuit underwater should consider this over the Submariner. 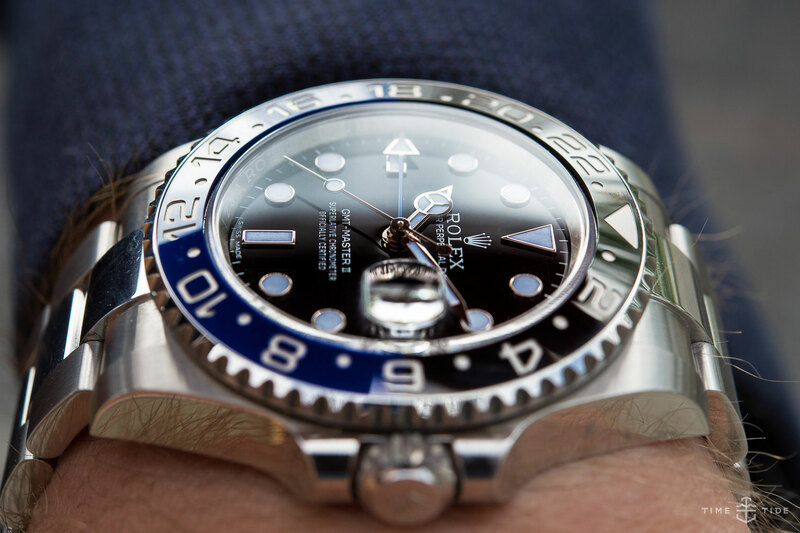 It offers more functionality and individuality at similar prices. What would we change? Not much at all. In an ideal world the polished centre links would not scratch so easily. 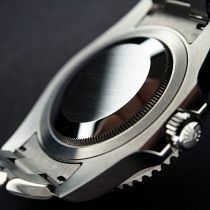 Perhaps a full brushed bracelet option for purist tool watch types. 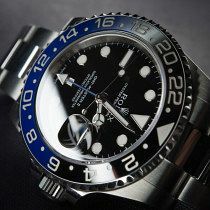 Otherwise, this watch is very well done.